A tribute to the wonderful Flappy Bird. 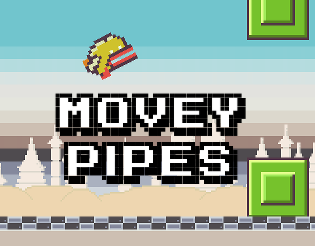 Ever wanted to move those pesky pipes out of the way of Flappy ? Here's your chance ! Drag the tetromino pipes to clear a path for Flappy - but watch out, Flappy has trouble flying straight. Dedicated to humble people who like making and playing little games. May Dong Nguyen find the peaceful life he desires, beyond the Flappy hype. Also available on Google Play for Android (or APK is here) and the App Store for iPhone and iPad devices.